This year, I’ve tried a new recipe every week. We began meal planning, and oh man. We save so much $$ and so much time and we eat so much better. Some weeks, I don’t have time to make anything new…others, like this week, we’ll try three new recipes. It all evens out in the end. Some day, I’ll get around to sharing all those recipes. Most of them are good. 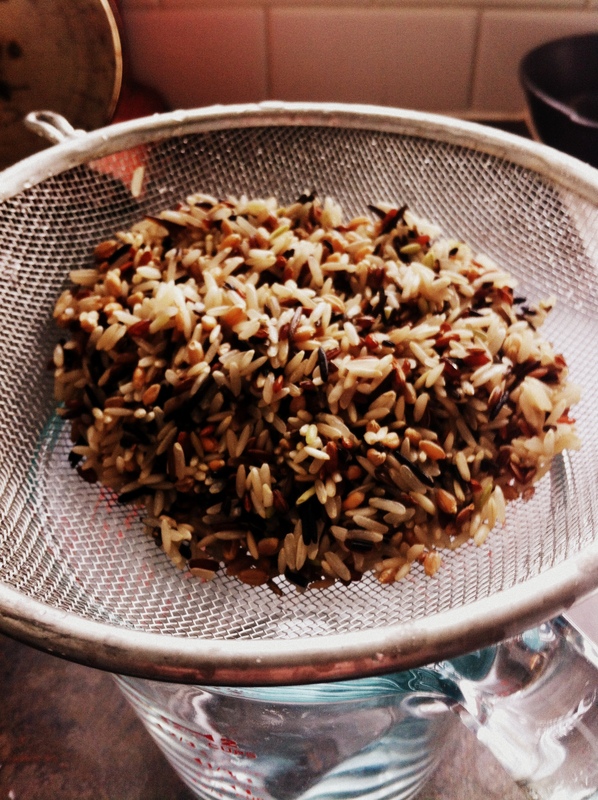 Every once and while you stumble upon a recipe…well that blows your hair back. Changes your life. Makes you happy. Gives you reason to believe that the world has some good in it. Makes you say obscenely dramatic statements about how good it is…all because you are on a high (nutritionally that’s probably accurate). This is one of those recipes. 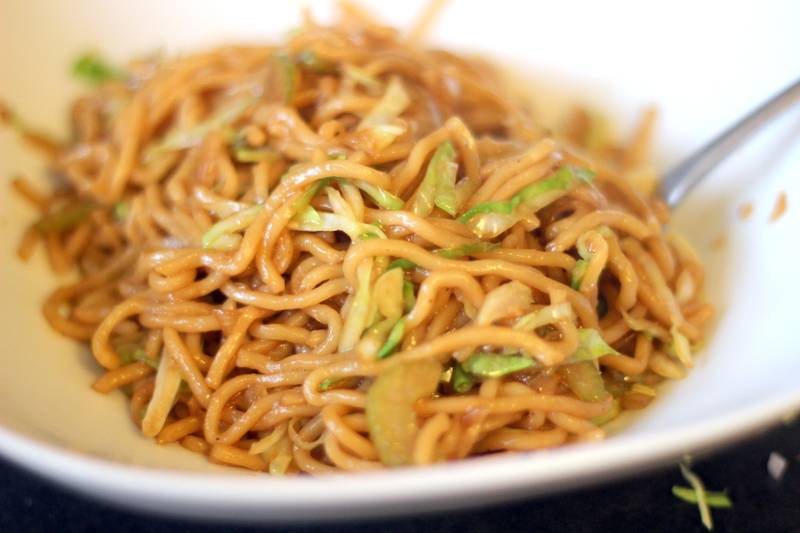 Who freaking new that making delicious chow mein (the original recipe calls it a Panda Express knockoff) was so freaking easy and so freaking quick and so freaking easy. And I should mention it’s really freaking easy. I just…I can’t…the taste….sigh. Just make it. 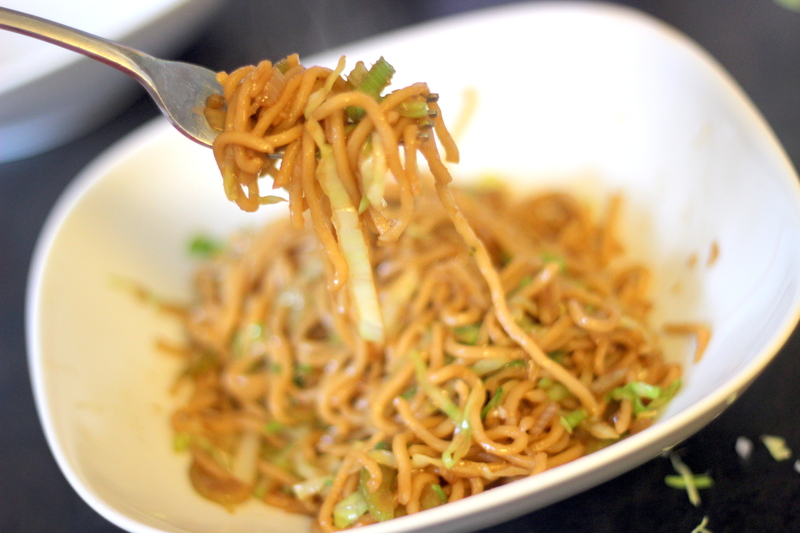 *Yaki-Soba is ramen-style noodles and can be found in the refrigerated aisle of your local grocery store. Yyyyyuuuuuummm! 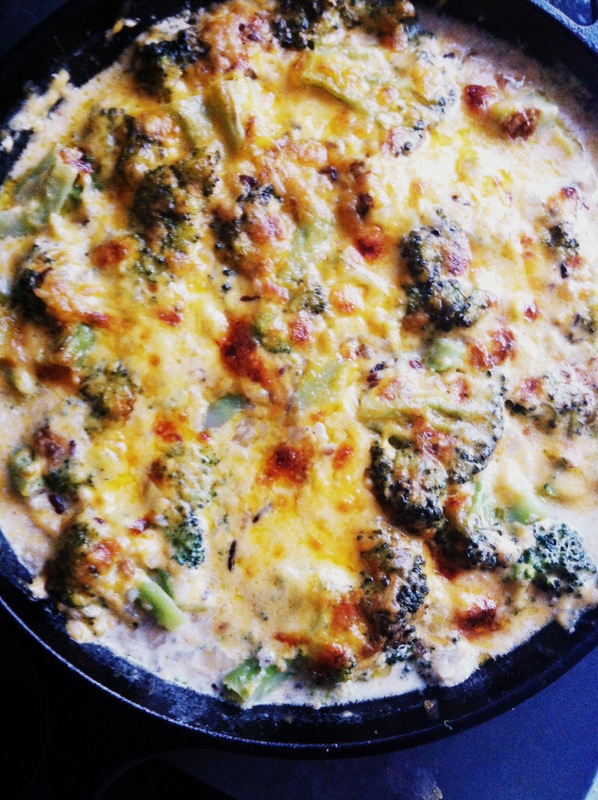 If you’re a fan of broccoli and cheese, make this as soon as humanly possible. I’ve made it twice since it was posted by Deb onto Smittenkitchen.com (it was posted on the 11th of this month so that’s saying something). I made this twice because I could tell the first time that there were things I could do to make it a bit less soupy and a bit more crunchy. First off, the second time around I used aged white cheddar and pepper jack instead of medium cheddar. Best move ever. Also, I cut the milk in half and really let the cheese sauce thicken before spreading it over my rice. Sometimes you just need to sink your teeth into a nice burger. 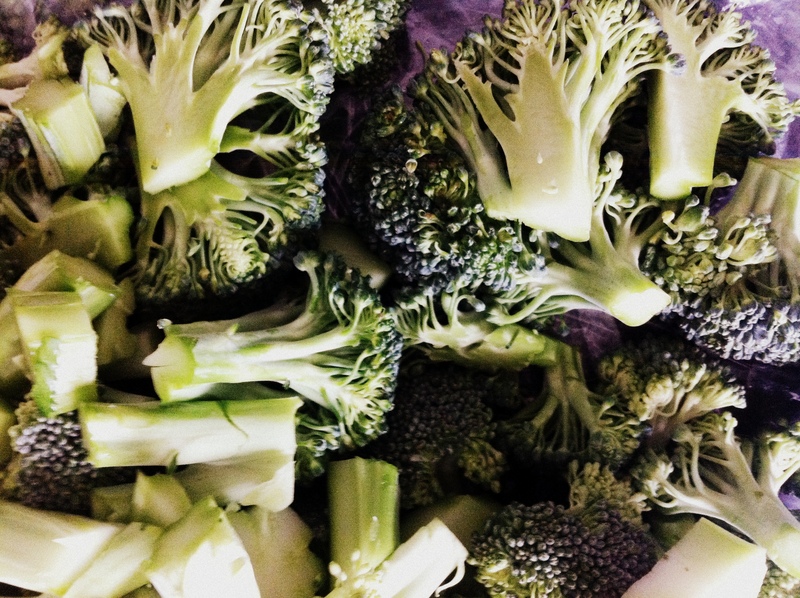 Being a vegetarian (A lifestyle choice, my diet used to consist of Doritos and pasta…when did I eat fruit? I couldn’t answer that) that doesn’t happen. BUT every once and a while you get a reaaaalllyy good veggie burger. One that can win any meat lovers heart. 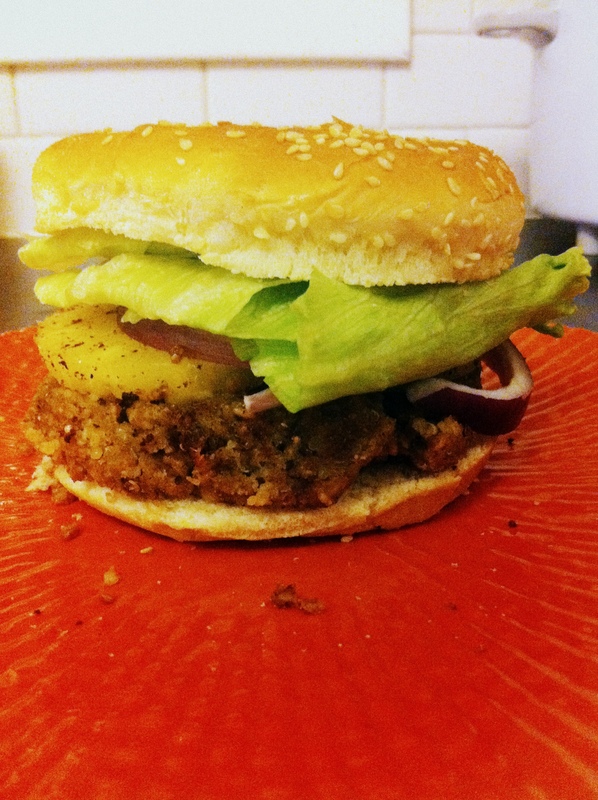 If you like Indian spices, smooth coconut and bursts of warm pineapple…you’ll being making this burger weekly. This burger pairs perfectly with sweet potato fries, your favorite chips, or cold veggies with dip. I found this great recipe over at cheekykitchen.com. SO GOOOOOOOOOOOOOD. 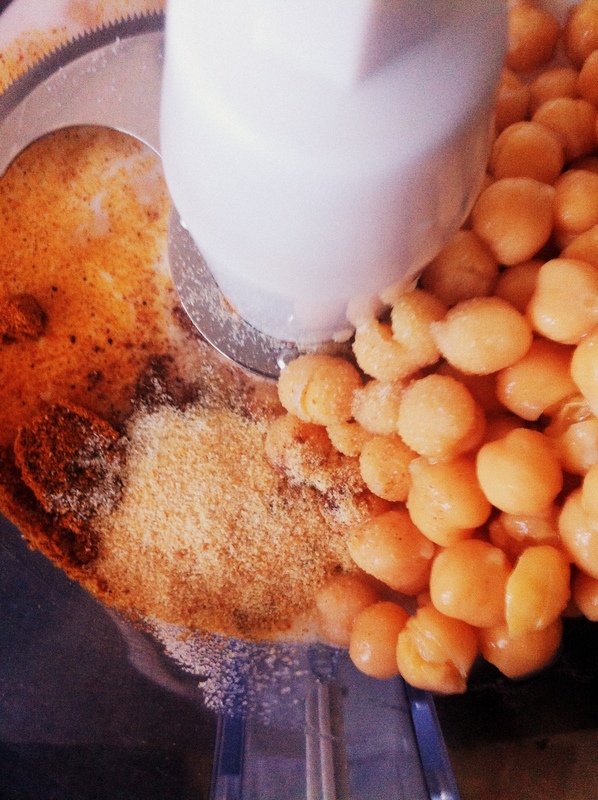 Place the chickpeas, coconut milk, curry, garam masala, adobo seasoning, and garlic powder in a food processor. Pulse until pureed. Stir in the chives, Quinoa, and panko crumbs. Form into 4 patties. Heat a grill pan over medium-high heat. 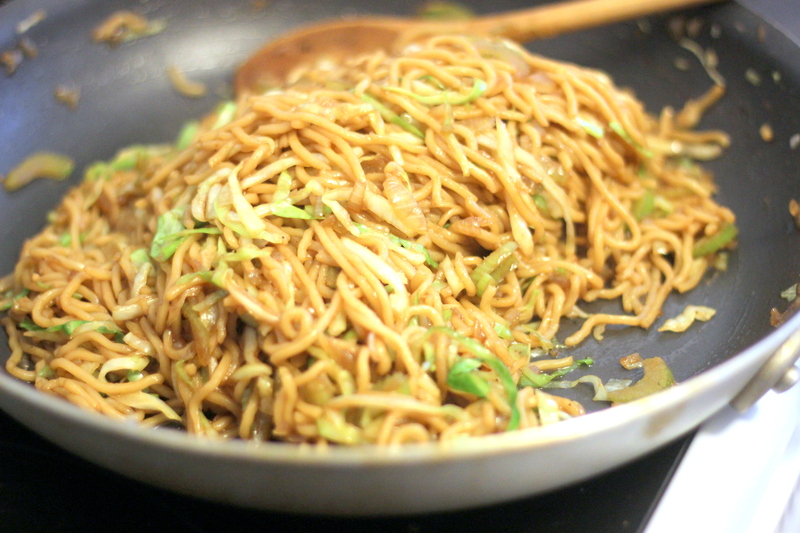 Drizzle the pan with olive oil and a bit of sesame oil. Pan fry patties until golden brown on each side. Then set aside the patties and grill the pineapple until golden brown grill lines appear on each side of the fruit. Butter the inside halves of the hamburger buns with Earth Balance butter. Bake, buttered sides up, in an oven preheated to 400 degrees until the butter is melted and the buns are toasty. In a small bowl, stir together the lime zest, pepper, and mayonnaise. 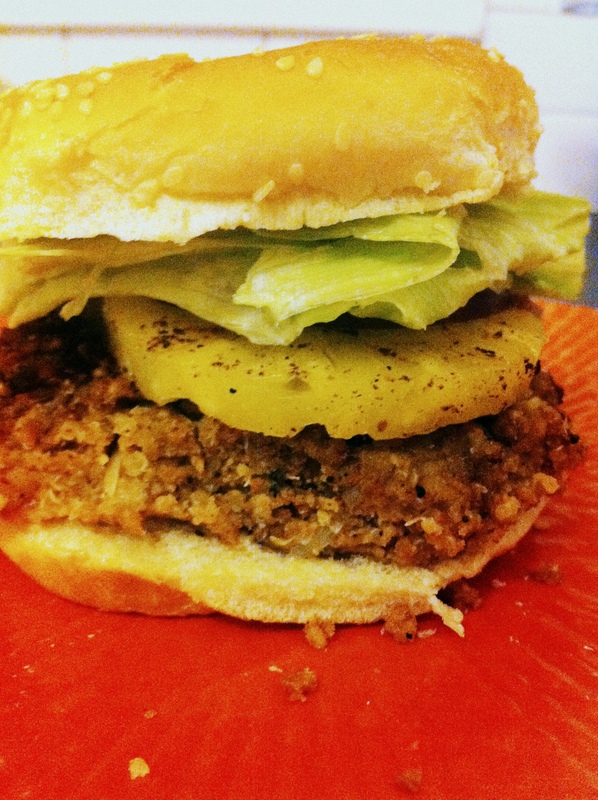 Serve the Chickpea burgers topped with grilled pineapple, your flavored mayonnaise, and a bit of lettuce on top of your burger buns. First off, doesn’t this look awesome from the top? 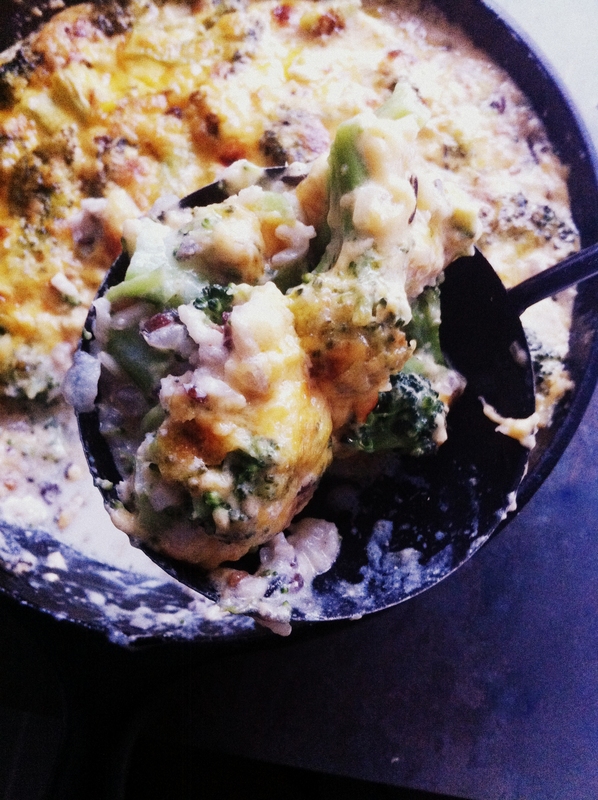 Here’s the inspiration…and the homemade outcome. Bahahaa. I can only laugh at myself for thinking I could make it look like the pictures. 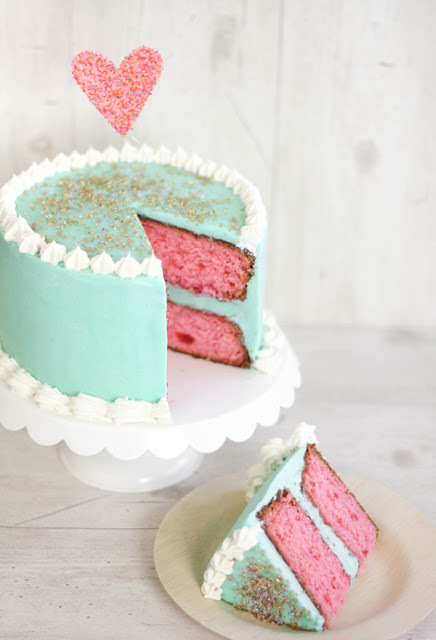 After all, I have never iced a cake in my life. Well I take that back. I used to decorate cakes a bit when I worked for Baskin Robbins back in my teen years. But that was all pre-made icing and was a totally different consistency since you were working with frozen products. One of my first mistakes was when I added 3/4 teaspoons of almond extract when it should have been 1/8 teaspoon. Novice mistake. 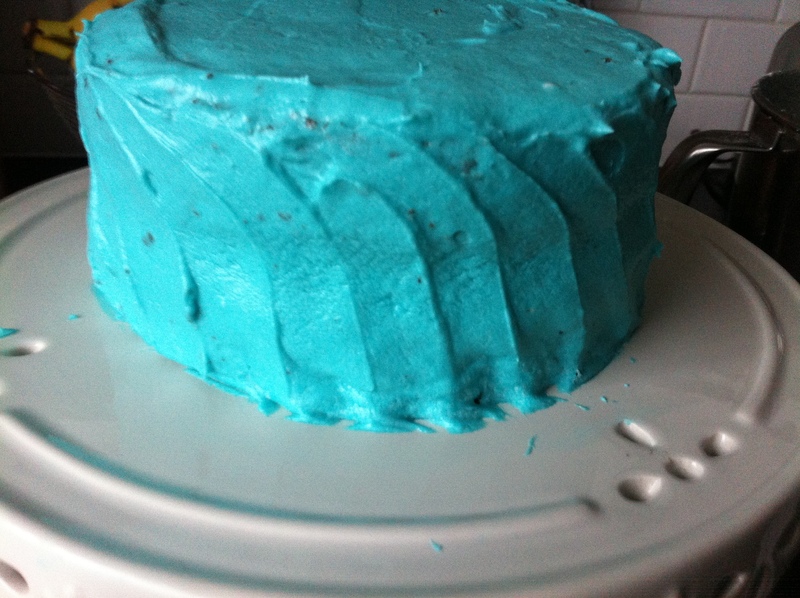 Then I added too much water to the icing. Stupid. It started sagging terribly between the layers of cake. I tried to let it dry and then re-spread it…but no. 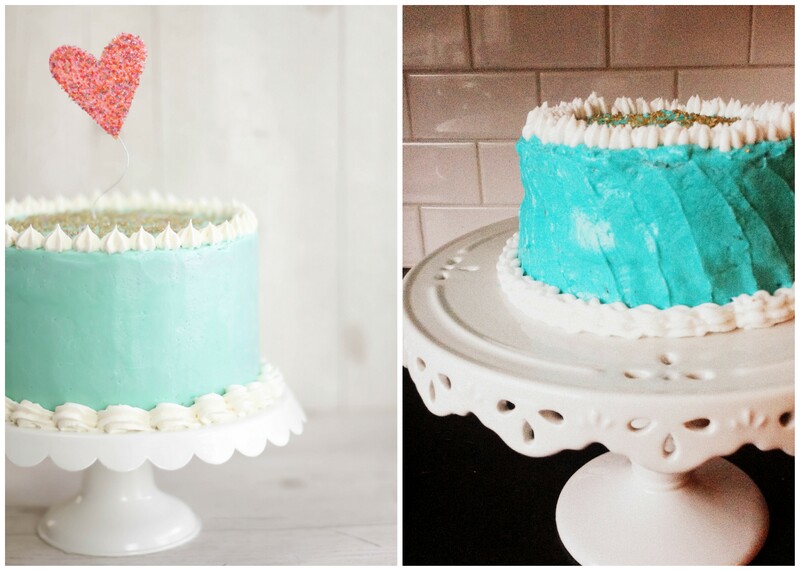 Yeah looks like a topsy-turvy cake mistake. So instead I tried adding a little bit of texture to the sides. WHATEVER! I give up. I quickly added the white borders and called it good. No wait…I called it terrible but I was done. I also made an entire batch of butter cream frosting that turned out like cottage cheese. I had NO idea you had to use real butter. Ugh. Wasted a pound of “butter” there. But you know what dammit…it tasted freakishly good. Maybe next time I can achieve this…cause it’s just so beautiful. 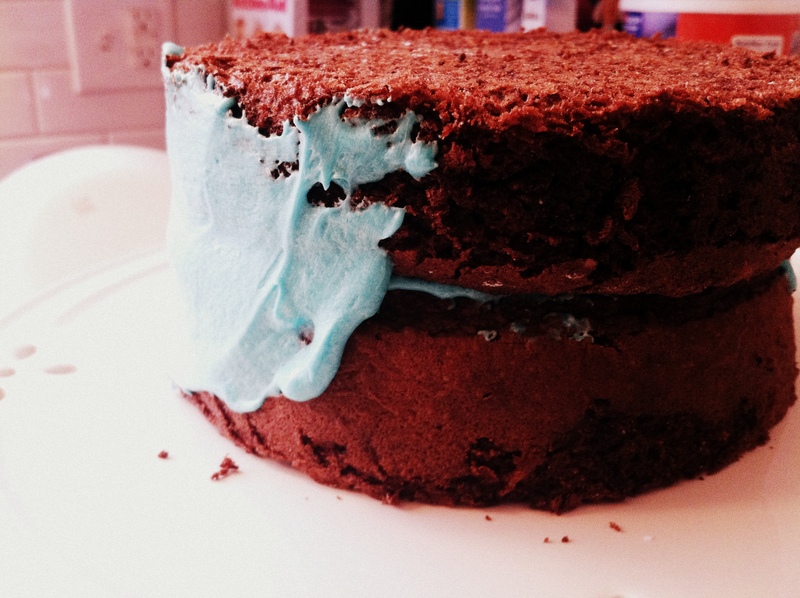 For those who are interested, I used a chocolate chiffon cake recipe that’s my fav. You can find it here. 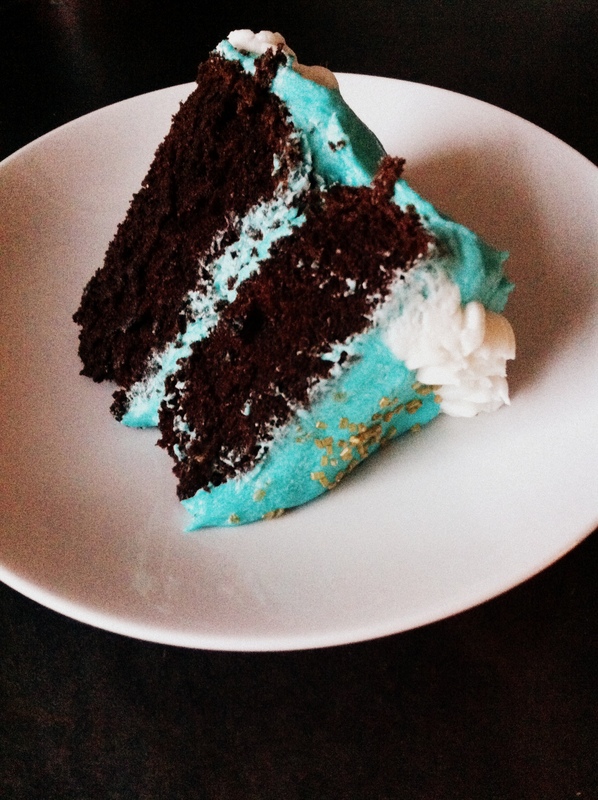 The original recipe is here, and the actual frosting recipe I ended up using is here. Setting out for a long walk this afternoon, I knew it was going to be cold. But the sun rays were beaming through the windows and I figured, “Meh…how bad can it be?”. Answer: real bad. The wind caused tears to stream down my face and they subsequently froze to my cheeks (which is actually pretty uncomfortable when you have frozen stubby fingers trying to wipe them off), my ears started stinging and every time I inhaled my lungs burned. To top it all off I think I got a sunburn. Ugh. This is not Portland weather. The sun is nice…but it’s just a damn tease. There’s a reason I live closer to this ocean and not the Atlantic…I like having moisture content in my winter-air. 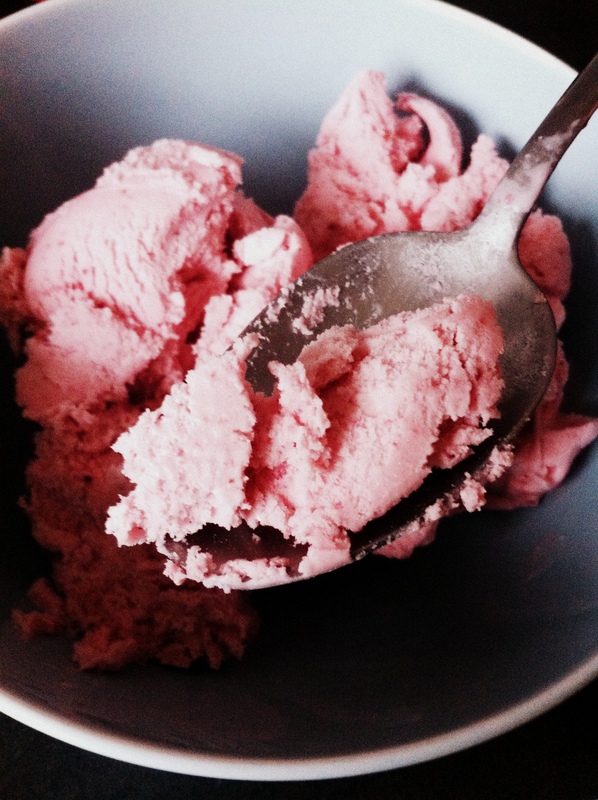 Well anyway when I got home…I ate ice cream. I knnnooowww…seems weird. But my affinity for ice cream runs deeper than Crater Lake. It doesn’t matter what the temperature is outside. And lucky for me, I was finally able to save for the Kitchenaid ice cream maker I’ve been wanting since what feels like the beginning of time. 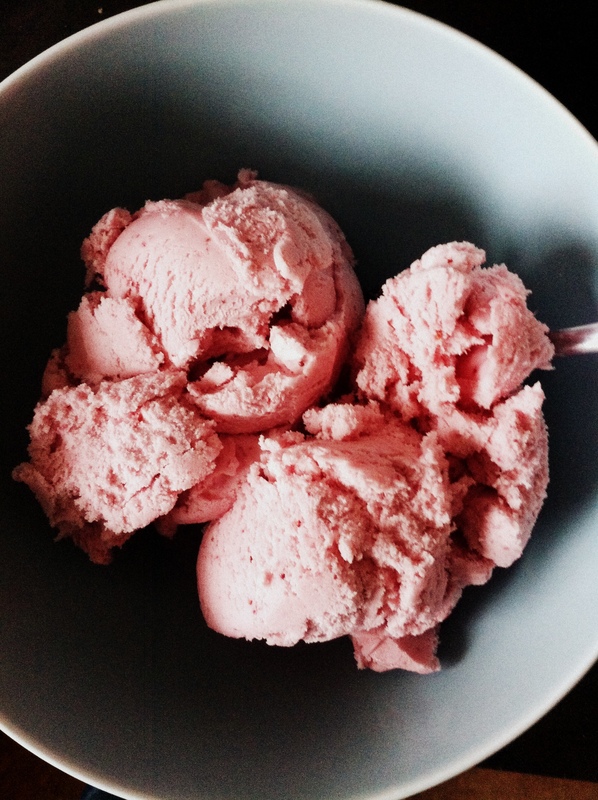 I’ve made about five different kinds of ice cream, but so far my favorite is a variation of a simple mix and freeze recipe. I like the custard type ice creams that require eggs and cooking it all up before hand, but honestly that tasted too…store bought. It’s rich and creamy but didn’t remind me of homemade ice cream. It’s hard to explain. 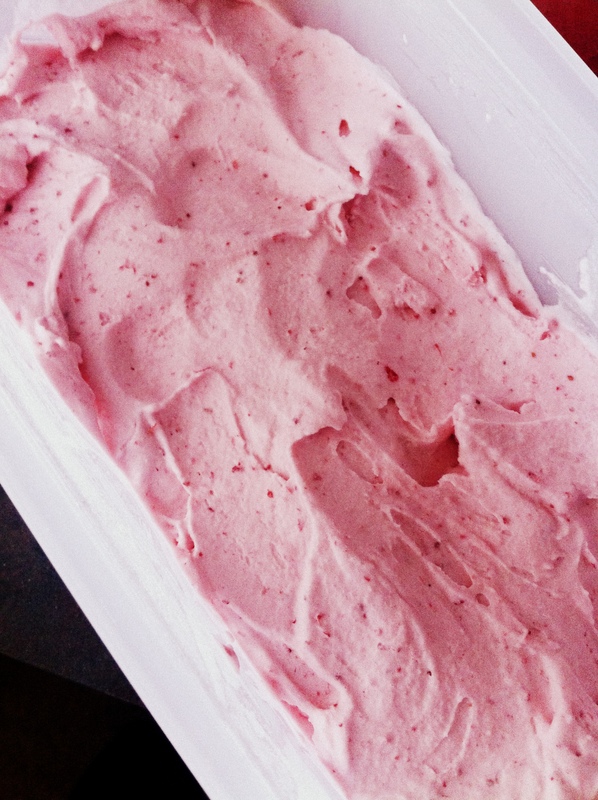 This strawberry recipe has been my favorite by far and it was fun to pull August-picked berries out of the freezer to use up. Maybe I’ll get to enjoy some more of this when it snows this weekend, right meteorologists!!?? 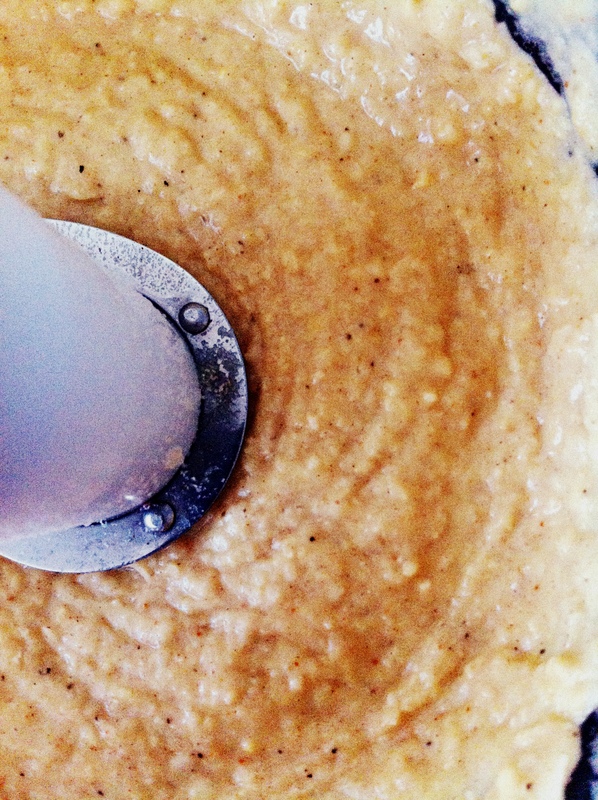 Puree berries in a blender or frozen food processor. Combine all ingredients; stir until the sugar is dissolved. Freeze in an ice cream freezer according to it’s instructions. Should make about 1-1 1/2 quarts. The vanilla variation: skip the strawberries and increase the half and half to 2 cups total. Birthdays are for celebrating…with Apple Fritter Waffles & Caramel Sauce. My hubs turned 31 a couple of weeks ago. He loves food, football, and me. So for his birthday he got to watch football, eat food, and be in my presence. Happy birthday to him. Specifically, he loves waffles. Waffles all day long…until the day he dies. LOVES them. Each year for his birthday I make said favorite dish along with strawberries and whip cream, all from scratch. But we’ve decided on a new tradition. We’re going to continue to make waffles, but each year will be a new type of waffle. 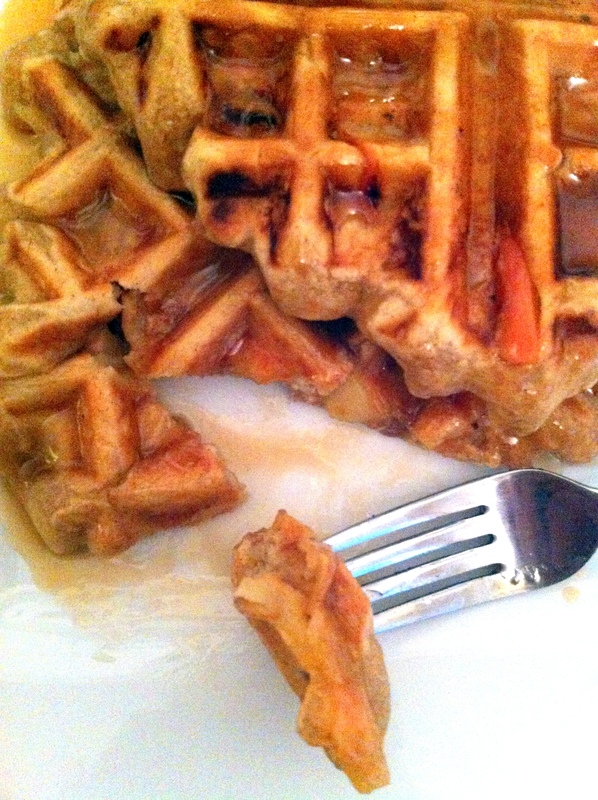 Hence this spectacular Apple Fritter Waffle recipe. Really…it’s so good. I can’t even express how pissed I was that it was so good. I couldn’t stop eating them. Like a toasted apple pie with the best caramel topping. Uuuuggghhh…I’m still paying for it. You get some seriously delicious chunks of warm apple with bursts of cinnamon, all wrapped up in soft, chewy waffle dough. What’s not to love!? Saute’ apples in butter in a large saute’ pan 3 to 5 minutes until heated through but still firm. Remove from heat and allow to cool. 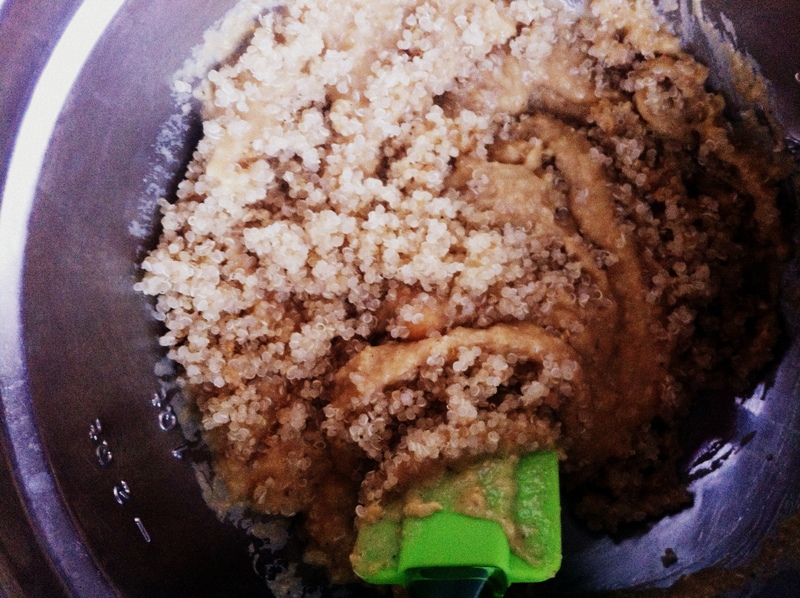 In a large bowl, combine flour, sugar, baking powder, cinnamon and salt. In another bowl combine eggs, milk and oil. 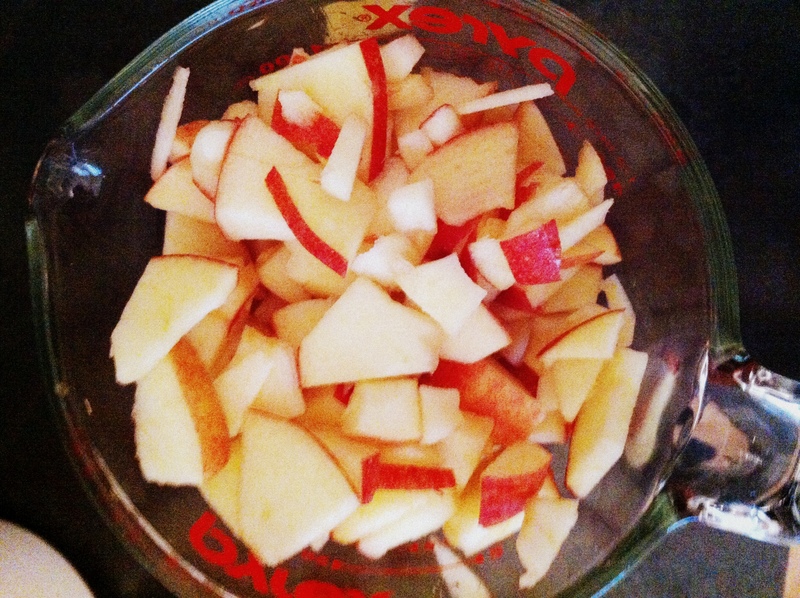 Combine wet and dry ingredients, add apples and stir until combined. Do not stir too much. Spray waffle baker with non-stick spray. 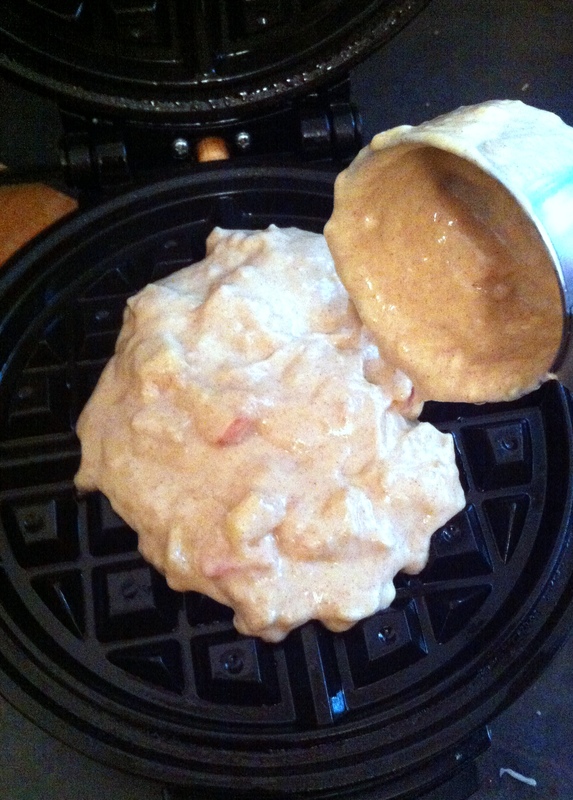 Ladle batter onto waffle baker being careful not to over fill. Check your waffle every couple minutes for doneness. Serve with warm caramel sauce. Melt butter and sugar over medium heat in a medium saucepan. Stir occasionally. Allow mixture to simmer until it starts to bubble and look foamy. Cook 3 to 5 minutes. CAREFULLY, stir in milk, salt and vanilla. Remove from heat. 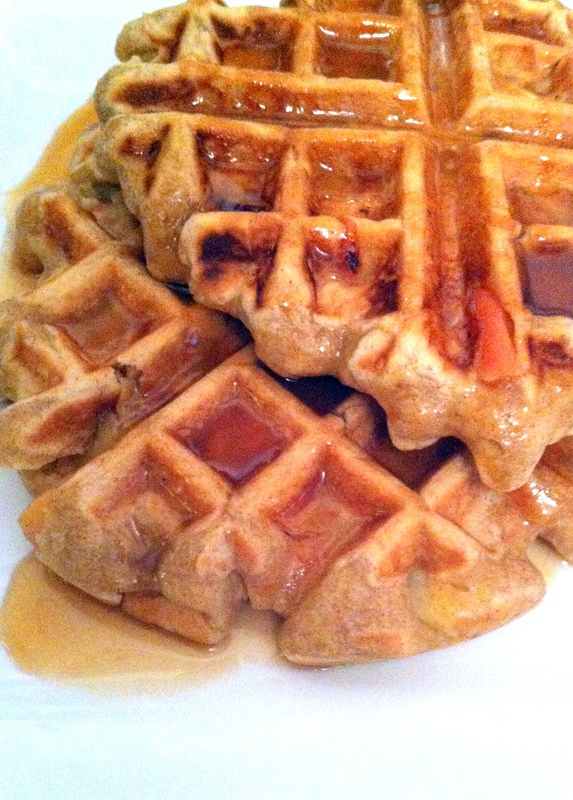 Serve with hot waffles. Notes: Keep waffles crisp by placing on a wire rack in a 200 degree oven until the entire batch is cooked. 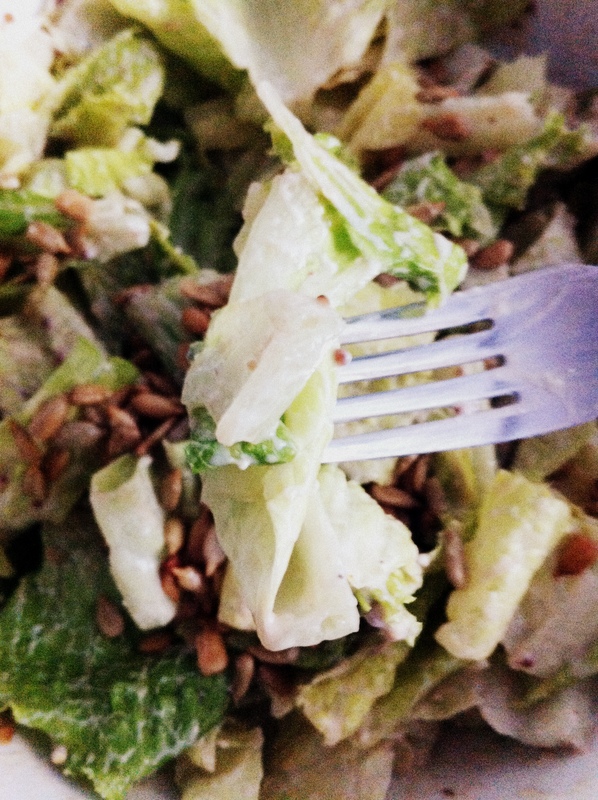 Thank me later…after you’re done scarfing this down. I really don’t know how to make you eat this. I can beg…but at the end of the day, this is just a silly little blog post, that won’t impact you on any large level I assume. But in case any of you are listening and taking me seriously (which I know I make it hard to do), please. Please make this. Please. Like pretty please. 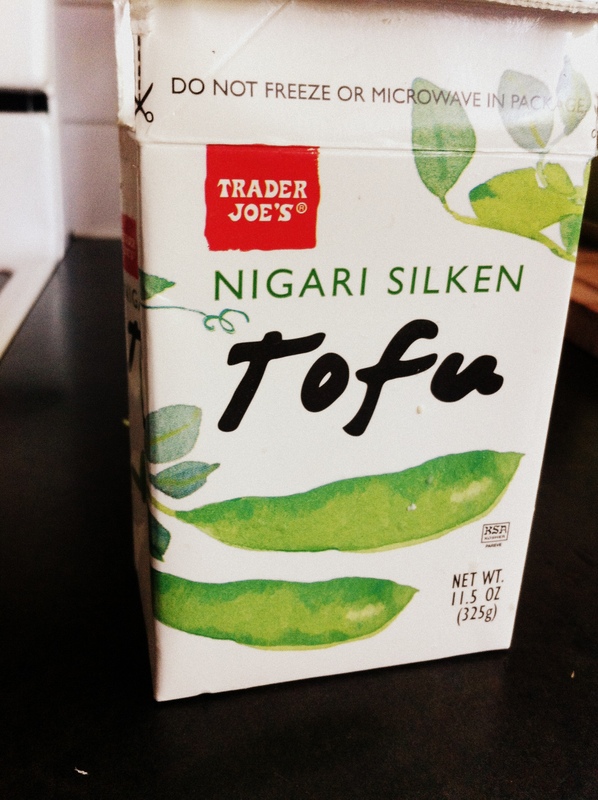 If you were to chug the whole lot (which is not recommended), 160 calories and 11 g protein. 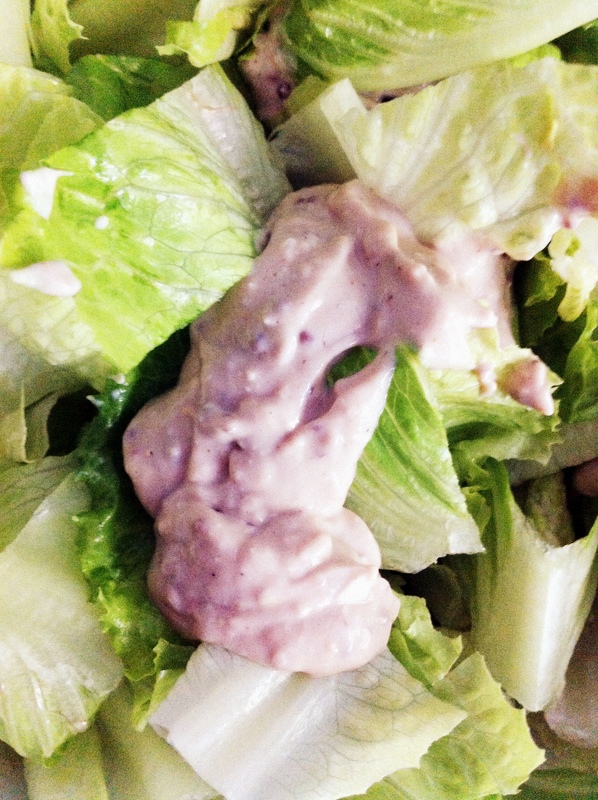 Compared to another popular creamy dressing, Newman’s Own Caesar dressing, 825 calories and 5.5 g protein. Pretty much anything that says creamy = lots of calories in exchange for lower nutrition in comparison to more health-conscious dressings like this. Might I suggest you pour this over some romaine and top with roasted unsalted sunflower seeds? Don’t mind if I do. 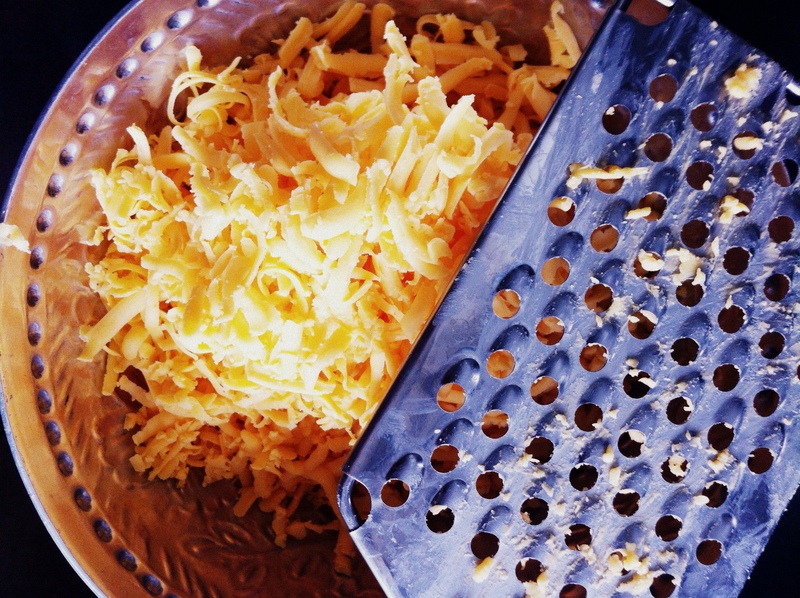 Place all ingredients on a food processor, chopper, or immersion blender. Add 1/4 cup water, (I forgot to do this…and it was just fine!) and blend until smooth. 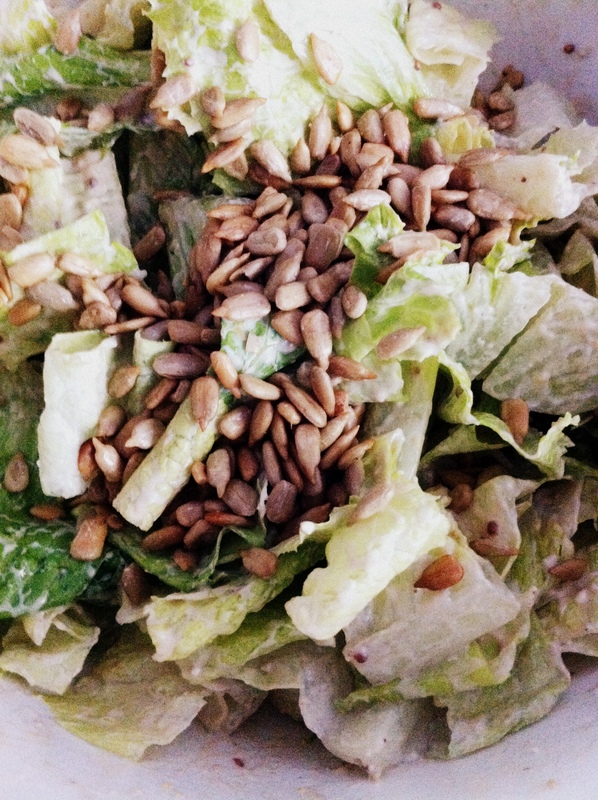 Season with salt and pepper if desired (I didn’t…my Dijon added enough kick).